Top / All Books / Does This Road Lead to Heaven? Does This Road Lead to Heaven? The Bible states that God has placed eternity in every heart (Ecclesiastes 3:11). As such, every individual has a drive within them to seek after some sense of permanence. There is a thirst to be in a place where there is continual joy, happiness and contentment. Unfortunately for most, the directions taken or the pursuits followed all lead to a result that the Bible clearly defines as eternal death and destruction. 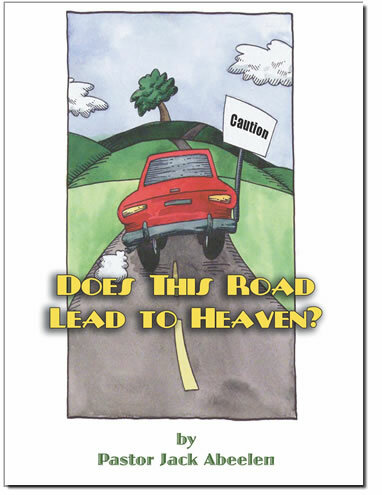 In this book, Pastor Jack Abeelen examines the words of Jesus in Matthew chapter 7 where He compared two roads going through two gates leading to two opposite destinies - life and destruction. Regardless of the individual, all are on one of these two roads in life. As to which road and which destiny, that becomes a matter of choice for the individual. 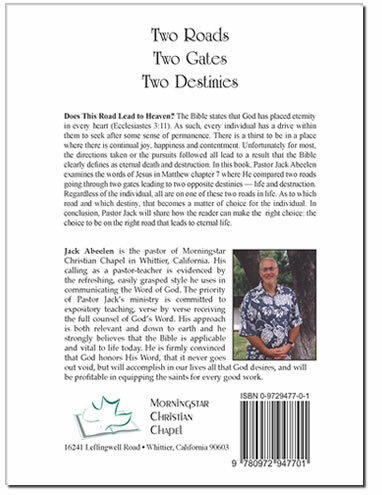 In conclusion, Pastor Jack will share how the reader can make the right choice: the choice to be on the right road that leads to eternal life.